This is NOT dog poop. 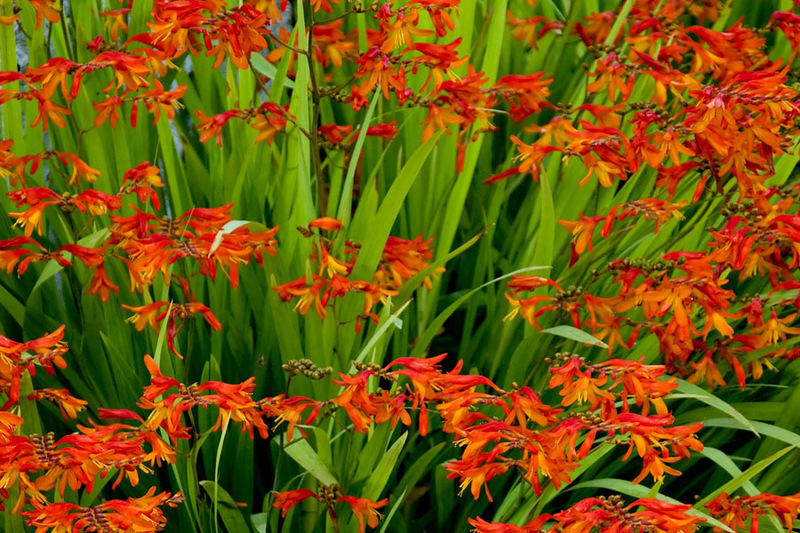 Do you know the flower crocosmia? It's a South African native, a corm in the Iris family, and spreads so rapidly that it can be a bit of a bully in the garden. This is not a photograph I took, but here is how it looks when it blooms. It's a lovely plant and the hummingbirds do like it. About 12 years ago, a friend gave me some corms and I planted them (unknowingly) in the wrong spot. I think they've bloomed twice in those twelve years, though the greenery comes up every year like clockwork. I thought it was time to dig them up and see what they looked like, and replant them in various other places in the garden to see if they'll do better somewhere else. Corms are interesting because the 'mother' corm is at the bottom and is the oldest in the 'chain.' The 'daughter' corms are above the mother and continue to form new daughters as the years go by. Several of the corms I dug up had over 10 daughter corms. As the chain grows, the mother corm actually pulls herself down deeper into the soil in order to make room for the daughters. It was fun to dig down deep and discover the chains of corms. Some were shriveled and used up, some were papery, some were red. Some had already sprouted. Being South African, you'd think these plants would want full sun and dry conditions. But that's where I've had them all these years, and they haven't flowered much. So I replanted them in shadier conditions near the drip line. They'd probably like some looser, richer soil, but I'll see how they do without any amendments first.